I promote positivity in everything I do! Some may say we live in a pretty toxic world but perspective is everything! In the words of our childhood queen Hannah Montana “Life’s what you make it” so make it rock! Optimism is an extremely strong force! If we can start believing that Life is Good, we’re contributing to something incredible! That’s why I’m heavily involved with the Life is Good Kids foundation! A strong theme is do what you like…like what you do! I carry that with me every moment of my career! I had the pleasure of interviewing Jaheem Toombs, and he is a true triple threat! 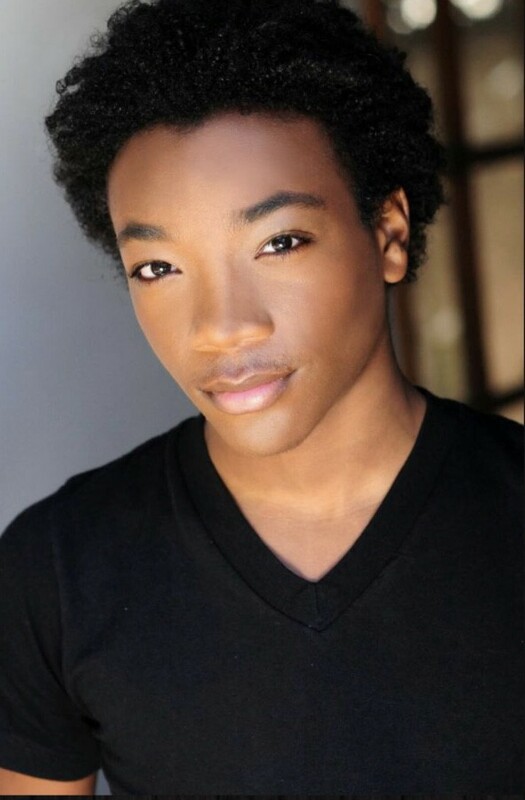 You may may know him from Nickelodeon’s “100 things to do Before High School and Knight Squad, or Netflix’s To the Beat! His original music is a funky combination of pop/r&b with an old school flare. Thank you for having me! I always knew I wanted to be an entertainer. When I was seven years old I had the ultimate Epiphany and realized this is the career I wanted to pursue. My parents believed in my dream vision and we moved across the country which was certainly a big deal! We kind of took Hollywood for a test run, but every door back home closed and every door here opened! It was very clear that we belonged here! Back in my hometown Boston, my mom was a teacher. She taught at the same school that I attended coincidentally, which made our daily routine very convenient.The school had been around for over 50 years, and the moment we got to LA, we received the news that the school would be closing down! At that point my mom no longer had a job and I no longer had a school, so we decided to stay for pilot season. Very shortly after, I had found the perfect new school for me in California and they were hiring! My mom was offered a job there and just like that we had the same setup as we did back in Boston, so much for staying for pilot season this is when LA became our new home! That’s just a small example of the divine favor we’ve experienced on our journey! My dream was to be on a Nickelodeon series! Everyday I would ask my mom to drive me by Nickelodeon studios so I could take pictures in front of the billboards! I would always say, “Mom I promise I’m gonna have my face up there someday.” After years of staying persistent and enduring non-stop rejection, we finally got to watch those construction workers put my face up there! It sounds like a fairytale but trust me, I’m leaving out plenty of challenges, I could talk about this for hours! My journey is evidence that hard work pays off and that anything is possible when you believe! I think the coolest part about this career is getting to meet people that admire my work! It’s still extremely surreal for me knowing that there’s kids all around the world that appreciate what I do. After booking my first major role, everything changed. All of a sudden it was like I was always being watched. I want to be a good example/role model for the people that look up to me. I just remember when I was younger there were a ton of people that I looked up to for example China Anne McClain who was another black child actress! I eventually met China and when I seen her at different events she was always so kind to me. As a child actor I was inspired and led to believe that anything is possible, I was actually sharing a red carpet with someone who I looked up to so much! I always want to be that for the people who have the same admiration for me because I’ll never forget how that made me feel! I know that’s not one specific interesting event in my career, but it’s definitely one of the most important elements for me! This year I’ve been doing a lot of creating. I am working on my original music which is super exciting for me. I’ve always been extremely passionate about music so to have the freedom to create music everyday is incredible! I met Jennifer Hudson once, and she asked me to sing with her! I was super shook because I have always loved her growing up! She was super sweet and genuine and kind! Two words… HAVE FUN… that’s the only way you survive out here without burning out in terms of energy and mentality. I don’t like using the phrase “burning out” as far as relevancy because this industry is super shaky and unpredictable! It’s incredibly hard work. Back to my point, I make it a priority to spend time with my friends and do things that bring me joy! I’m extremely passionate about my work so I’m always having fun! It should never feel like work. The moment the fun is gone, it’s time to reconsider! so drop the nerves, go in there and kill it! Never try to be someone you’re not to impress people. Don’t let the word “no” discourage you! My pastor told me when I was young to get into Hollywood and not to let Hollywood get into me! This city and this industry can get overwhelming! Many times people will try to make you compromise your beliefs! That quote helped me to become a leader instead of a follower! I refuse to compromise and I refuse to be pressured into dimming my beliefs! My parents are my biggest supporters! They moved across the country for me…every step of the way they’ve been here to push and encourage me to be great! I’m also grateful for my pastor William E. Dickerson, my friends and my childhood music mentor Mrs. Lunsford because she helped me grow and season my musical ear! I couldn’t have become the person I am today without any of those people. BEYONCÉ…BEYONCÉ…BEYONCÉ!!!! She is my biggest inspiration on the planet and I love her with all my heart! She is just such an incredible entertainer! I’ve seen her in concert 3 times now and it’s magic every time.